When you play this card, search your deck for an Event. Reveal it, put it into your hand, and shuffle your deck. 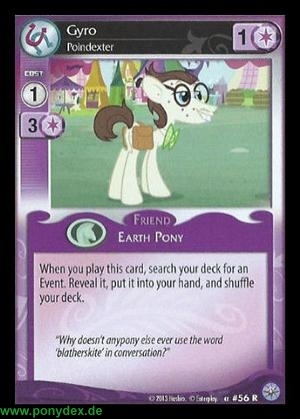 "Why doesn't anypony else ever use the word 'blatherskite' in conversation?"